Scotland’s livestock auctioneers have launched a campaign to win back business after losing around 20% of prime sheep trade to direct deals between abattoir buyers and farmers in the last year. St Andrews chef Joe Reddie has been named Scotch Beef Scottish Young Chef of the Year after winning a cook-off held during ScotHot, Scotland’s largest food, drink, hospitality and tourism show. Facial recognition technology to detect pigs’ emotions, especially pain and stress, is the subject of new trials. A free video designed to help fruit pickers develop essential skills has been produced for fruit growers by the Agriculture and Horticulture Development Board (AHDB). Trials involving the use of laser beams to keep birds away from crops have shown ‘great results’ according to a European research consortium which is now planning to test the same approach to keep deer, rabbits and rodents from also causing damage. The proposals would result in zero-tariff access for 87% of all imports to the UK by value. Long-term reliance on migrant workers has been a “sticking plaster” for labour shortages across Scotland’s farms, MPs heard today. I am co-chairman of the Working for Waders initiative. A leading Fife farmer has warned that the spate of tractor thefts in the area by organised criminal gangs has the potential to escalate into a “danger to life and limb”. Farmers and crofters have been urged to prioritise filling out their Single Application Form (SAF) online before the May 15 deadline. An equality charter for Scottish agriculture to help develop fresh opportunities for women is to be rolled out this year in response to initial findings by a Scottish Government taskforce. Farmers using Väderstad Rapid trailed drills who want to apply seed and fertiliser at variable rates within fields can now do so without needing ISOBUS electronics thanks to new controller software. We are all very excited – the vending machine has arrived! We are now eagerly awaiting delivery of our branded glass bottles. A farmer’s wife and mum-of-three from Glenurquhart, near Inverness, is gearing up for her second season of growing pumpkins after being the first to establish a pick-your-own pumpkin patch in the Highlands. Concerns remain over the future of sheepmeat exports to Europe after Brexit, claims Quality Meat Scotland (QMS). Two new Scottish agri-tourism monitor farms have been created. Less Favoured Area Support Scheme loan payments will start arriving in bank accounts in the next few days. Scottish cattle numbers continued their long-term decline last year, according to the December 2018 Agricultural Survey. Britain’s top celebrity chefs are being asked to help persuade consumers to buy all sizes of eggs, not just large ones. Efforts to eradicate Bovine Viral Diarrhoea (BVD) on farms south of the border have stepped up thanks to a £5.7 million project. NFU Scotland’s secret beef shoppers have given the majority of the country’s supermarkets a vote of confidence for stocking home-reared products, with only a couple of retailers identified as needing to improve their sourcing. Farmers have been urged to familiarise themselves with the rules surrounding the commercial use of drones. 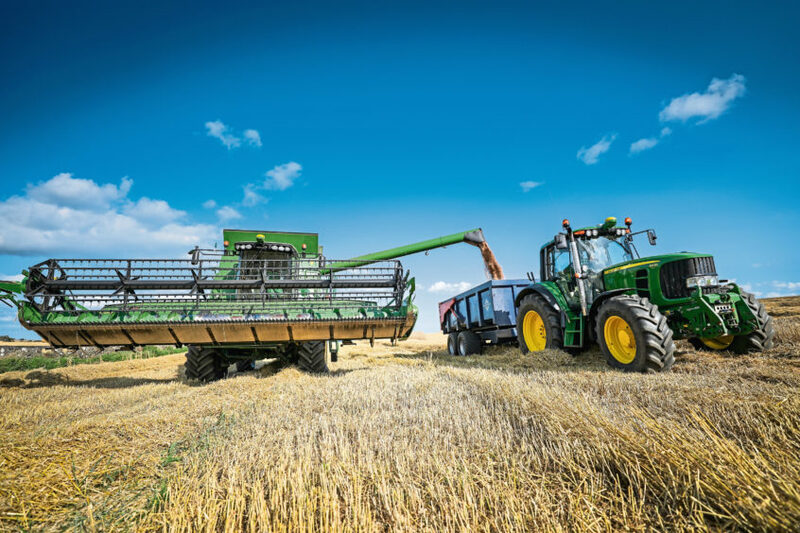 An innovative commodity insurance product has been hailed by industry experts for the potential it could offer farmers looking to protect themselves from market volatility caused by Brexit. Dairy giant Arla has announced ambitious plans to become a carbon net zero company by 2050. The official launch of the government’s Brexit-inspired pilot seasonal workers scheme has been given a somewhat cool welcome in Scotland. Farmers and crofters in the north of Scotland are bucking the trend with self-build homes. Organic farmers and growers run the risk of losing their organic premiums when selling products to Europe if no Brexit deal is reached, warns the NFU. 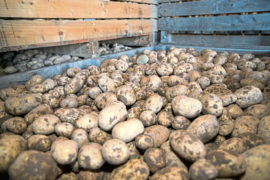 The latest figures on British grower-held potato stocks show the effects of the poor growing season in 2018. Spring was in the air at The Cabin Equestrian Centre’s three-day British Showjumping Show. Store cattle prices were down in the first quarter due to continued industry uncertainty and a collapse in prime cattle values. 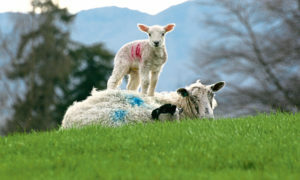 Failure to monitor worm burdens could result in costly growth-rate losses in sheep, warns Zoetis. A cow has defied 100,000-to-one odds by producing three healthy calves on a Caithness farm. Native cattle met a “brisk trade” at Aberdeen and Northern Marts’ (ANM) Thainstone Centre, near Inverurie, yesterday. Young people with an interest in the sheep industry are invited to enter this year’s National Sheep Association (NSA) Next Generation Shepherd of the Year competition. Eating dairy products makes people happy, claims AHDB. 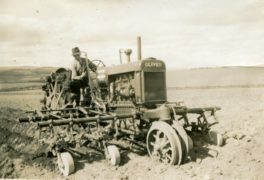 Moray farmer Stan Copland always knew he wanted to follow in his father's footsteps. Broccoli crisps, anyone? 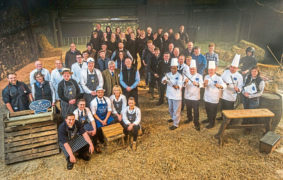 The savoury green snacks may not have been an option before now, but 16 farmers in central Scotland have pledged £2 million to ensure the novel range takes centre-stage in future. NFU Scotland (NFUS) has issued guidance to farmers and crofters to help them complete their Single Application Form (SAF). Two travel bursaries, worth £2,750 each, are available for young people working in the sheep industry. North-east animal feed firm Norvite Animal Nutrition has invested £375,000 in a new mobile milling machine. The accuracy of estimated breeding values (EBVs) for Limousin cattle has been boosted by an international genetics project. Newly published guidance about tree planting on tenanted land appears to have done little to mitigate tenant farmers’ deep-seated suspicion of forestry.